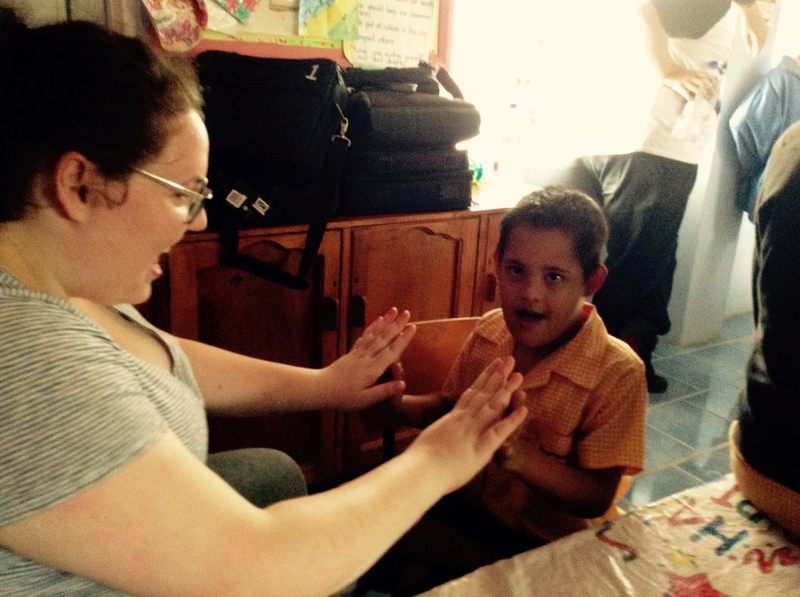 Our team from QUT spent their time with the children at the Ra Special School recently. 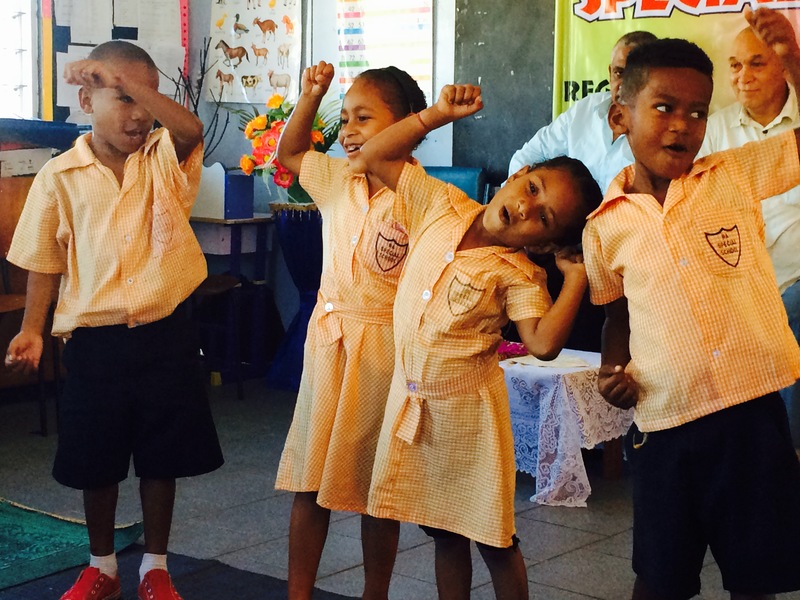 This school is located in the town of Rakiraki – which is north west of Viti Levu (largest island in Fiji). The Japanese Government built a building for the school which is very well designed. Thanks to the Government and the people of Japan for this donation. We could see that this donation was making a big difference to the children at the school. 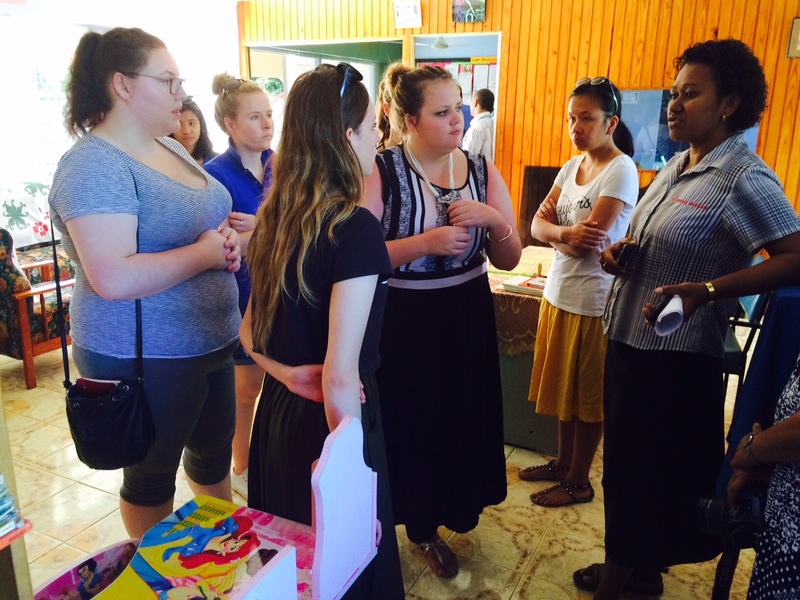 A group of dedicated teachers led by the Head teacher – Isikeli Naivalulevu are doing an excellent job at this school. A team of dedicated management committee members led by Pushp Dass are very supportive of the teachers and their students. We were thoroughly entertained by dance items performed by the students and staff of the school. It was good to see the many talents of these children. Walking through the school there was good evidence of the school’s staff in creating a learning environment that was conducive to learning and supporting the needs to the children. We hope that our donation of 10 laptops, a digital camera and table will add value to teaching and learning activities. Thank you to the staff, students and the school management for inviting us to your school. A very special thank you to Sangeeta ( Shyna Dass ) for all your efforts in facilitating our visit. Here are excerpts on the Managers address as part of our welcome to the school. It is an interesting account of how the school has evolved over time. “The Ra School for Special Education was previously called the Ra Special Unit when the Unit was opened at Rakiraki Methodist School in 1982. The Special Unit later moved to Penang Primary School in late 1988 and was headed by Mrs Repeka Toanikeve with Mr Sam Pillay as the School Manager. She was followed by Mrs Subamma Rajan, wife of the late Mr Tyaga Rajan who was the principal of Penang Sangam High School then. In 1991, the School Management with the help of the MOE/ Sp. Ed. Unit purchased a house with land opposite Penang Primary and converted it into a school which is now called Ra School for Special Education. Our school legal advisor then, the late Mr Dhirendra Kumar finalised the land transfer and the school was born!! The Canadian Govt. donated some money for fencing and the PWD cut down all the big mango and coconut trees in the school compound. Master Ram Rattan was transferred from Suva Special School as the Acting H/Teacher until 1994 and was later replaced by Mrs Rajan replaced until 1996 when the H/T’s post was advertised. Late Mr D Kumar was elected Manager/President of the School replacing Mr Sam Pillay who stepped down from his position due to health reasons. In Sept. 1996, the new H/T, Mr Isikeli Naivalulevu was posted to the school from Lautoka (Sunshine Special School) and I am proud to say Mr Naivalulevu stayed on and will retire later this year from our school. In 1997, Late Mr D Kumar who had been an elected member of parliament approached the Embassy of Japan to build our new building. In March 1998, the new double storey school building was officially opened by the Hon. Japanese Ambassador and the new name of the school was also unveiled; Ra School for Special Education. In 1999, another single block of 2 classrooms with a covered walkway to the main gate was completed by School Management, a classroom nearest to the washrooms was upgraded and converted into a kitchen and Staff Tea Room. The legacy of the School began in 1998 and continued to where it is today. Late Mr Kumar headed this school until he passed away in July 2010. I was given the reins of the school as President/ Manager from 2011 after I held the positions of Secretary and Treasurer of the school since 2004. I have had some untiring members who continued to assist me in keeping the school on par or to speak as one of the well kept schools in Rakiraki. We have recently upgraded the office and library with sealing of the windows and air conditioning. Just for information on our major upcoming project, we have purchased an acre of land across the road and developments are expected to start in the next few months. A small play centre and a small pavilion is expected for the interim, later the same to be converted on a fully fledged play centre to be used as children’s park on a user pay system and open to the public in the weekends and after school. The management continued to play a pivotal role in the school as far as its upkeep, maintenance and getting in donation of cash and kind for the school is concerned. We had received assistance from far and wide including ex- residents of Rakiraki who are abroad. Olivia is completing a degree in primary education (specialising in inclusive education). Aimee is completing a degree in primary education. Our visit to the RA Special School, left many moments and experiences that have had a positive impact on my life and my studies as a pre-service teacher. One significant highlight was being so warmly welcomed by everyone. During my visit I found it very encouraging to see the level of enthusiasm shown by a particular male teacher. This teacher led a dance performance involving the students that was performed especially for us. Teaching students with special needs is challenging enough without facilitating a dance performance with some technical difficulties involved (when the music cut out at times) however he still looked like he was having the time of his life. This was very encouraging to see from a pre-service teacher perspective. He looked like he absolutely loved his role and his students and the students looked like they loved him in return. Danielle is completing a degree in primary education. 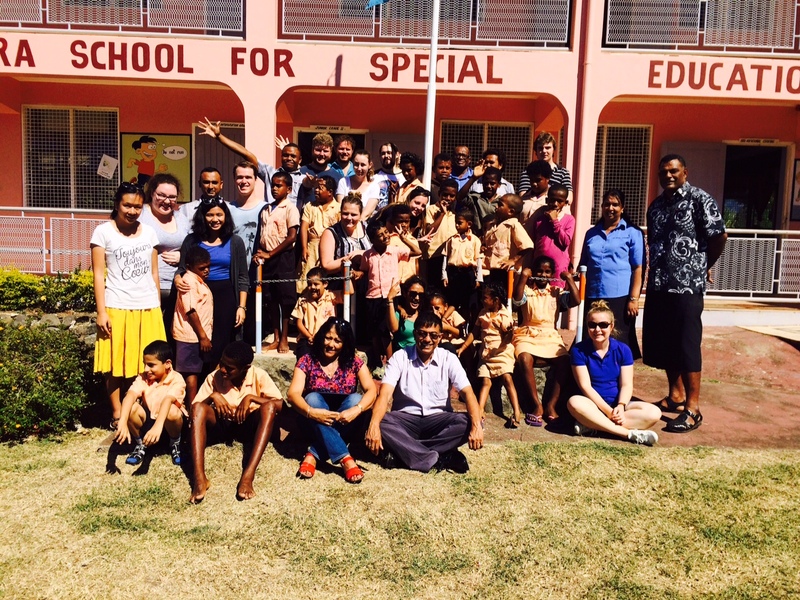 This Fiji trip also allowed me to further develop my knowledge and experiences of inclusive education when we visited Ra Special School in Rakiraki. The school was extremely welcoming and the staff were more than happy to share their knowledge with us. The students were also very respectful, friendly and fun, they were always ready to have a chat with us despite some small language barriers. A highpoint of this visit was seeing the room fill with happiness as the students sang and danced, this is a memory I will forever cherish. Visiting the Ra Special School strengthened my passion for inclusive education as it reinforced the importance of equality education inside the classroom, thank you for letting us visit. I would like to thank all of the people that made this exchange possible, especially Dr. Vinesh Chandra, with your guidance and support we were able to drastically help schools in Tavua and Rakiraki, Fiji. I will forever be grateful for the experience and I really appreciate all the effort that you put into this important project, thank you for allowing me to participate in this life-changing experience. Gayle is completing a degree in primary education. 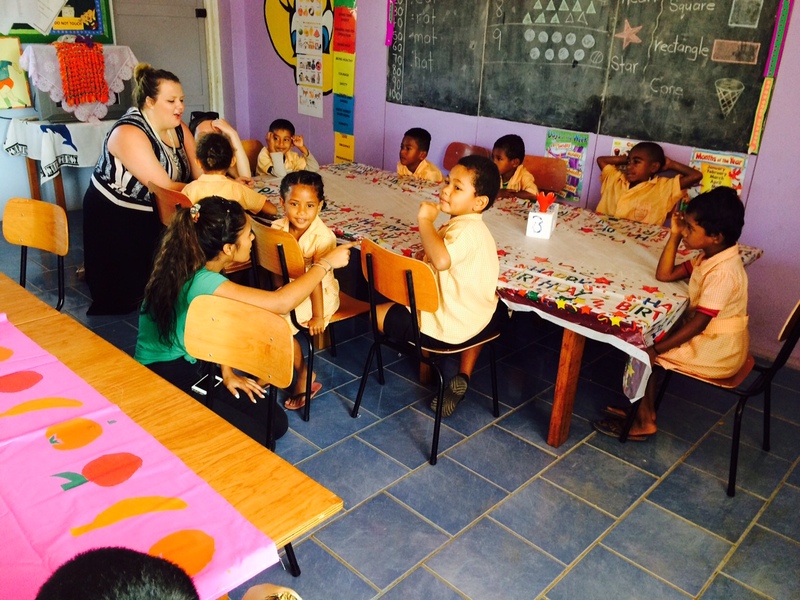 The highlight of my Fiji trip was visiting the Ra Special School. We were only there for one day, but that one day has definitely opened my eyes to the challenges faced by children with special needs. I grew very attached to one girl in year 1 who has intellectual difficulties named Ebony. She immediately held my hand and opened up to me and it was amazing to see how happy the kids are with the little they have. Another girl that I spent a lot of time with was a deaf girl. Even though I didn’t know much sign language, she was able to teach me the alphabet in sign language and still show me around the School. 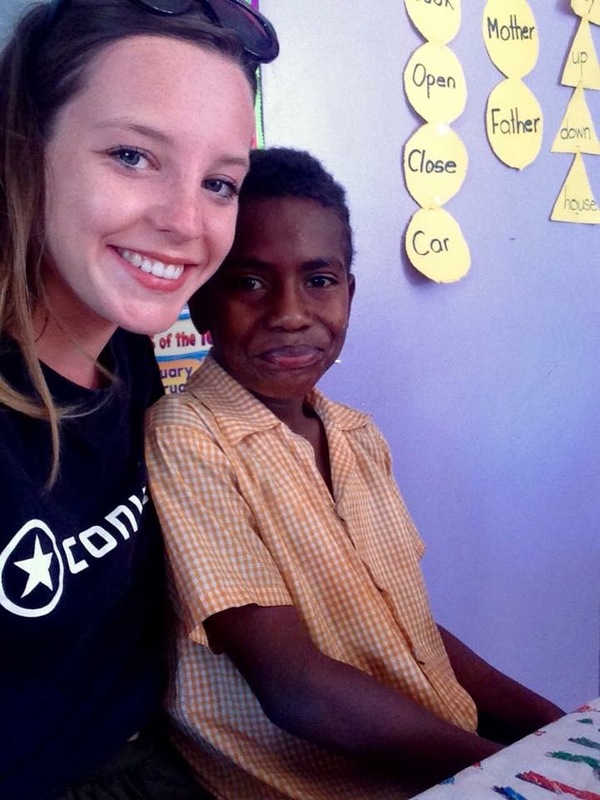 I will never forget this trip or the skills I developed from this trip, and can definitely see myself going back to Fiji, visiting all the kids I taught and spending more time at Ra Special School. Katie is completing a degree in primary education. Visiting the RA Special School was a really inspiring day for me. Meeting the students who had so many challenges to overcome, just to live a normal life and go to school, be so happy, friendly and welcoming really made me think about how privileged I am in my life and what more I could be doing to help make the lives of others easier. Although I had been thinking about it before, visiting the RA Special School and meeting the deaf student and her hearing impaired little brother has cemented my desire to learn sign language – something I have already begun to look in to. 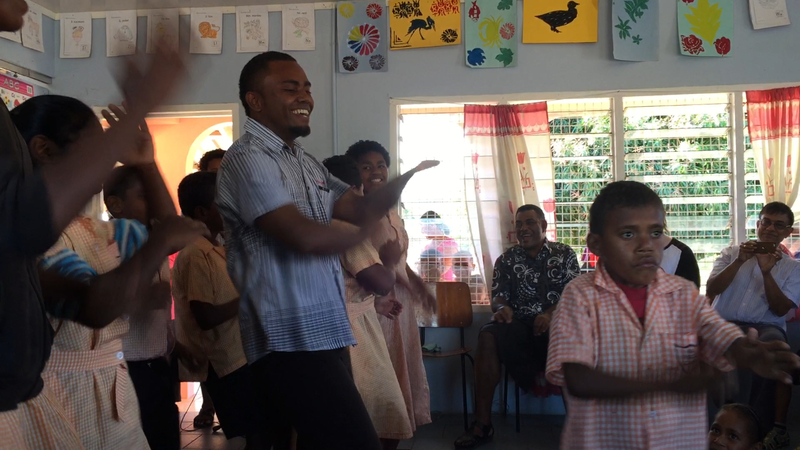 The welcoming items put on by the students was heart warming – especially to see the look of pride in the teacher’s face as he danced along with them. 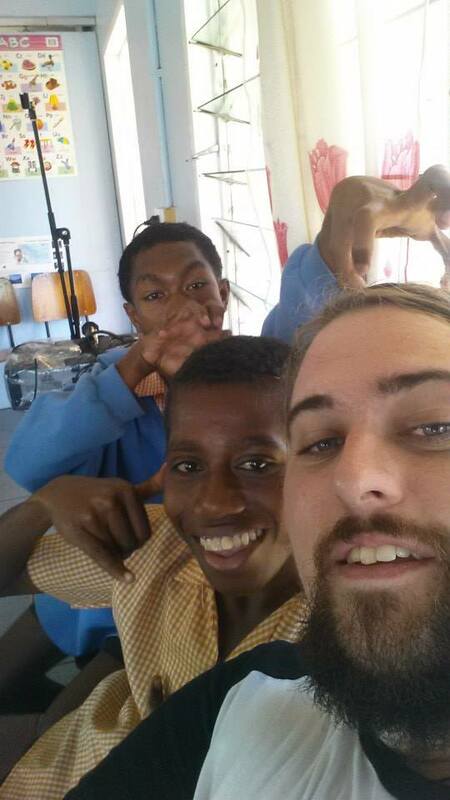 I also really enjoyed having the chance to talk to the students as well as play games and dance with them. This school is doing incredible things for the lives of their student’s and I feel privileged to have been provided with the opportunity to have an insight into their routine. 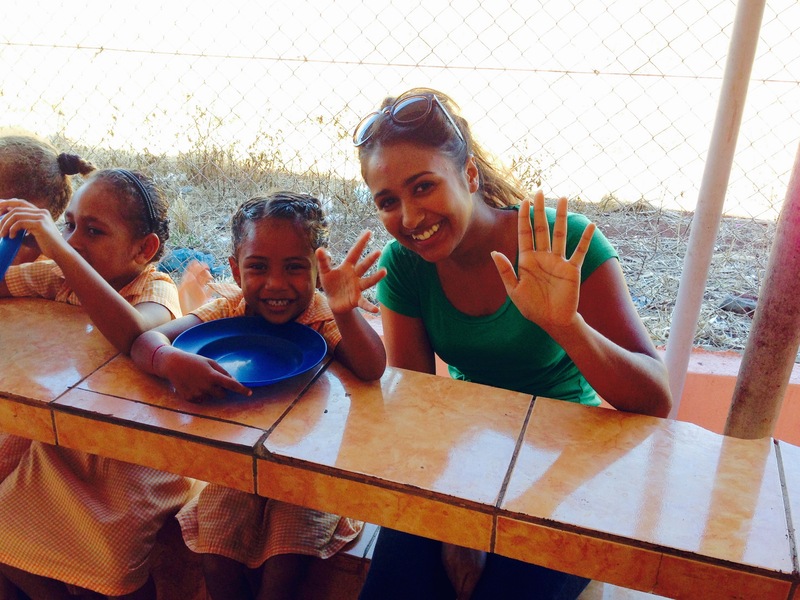 Mary is completing a degree in primary education. Spending the day at the RA School was one of the greatest and happiest experience I had on the trip. Both the students and teachers were so kind and welcoming to us. It was truly heart warming to see the students perform for us with such big smiles on their faces along side their teacher. It was also good to see all of the teachers being actively involved in engaging with the laptops and learning all the skills and activities they could do with their students. Matt has recently graduated with a degree in information technology (IT). At the RA Special School, my most memorable moment is just trying to communicate with the special needs kids. There was this one kid there who was 18 years old and this was his first year at school. Despite not being able to verbally communicate he was determined to share bits and pieces of his life by using various hand gestures and objects to gain my attention. I found it quite remarkable for him to be so outgoing despite meeting a stranger for the first time. Overall I would have to say this was a once in a lifetime experience. This entry was posted in 2015, Ra Special School. Bookmark the permalink. Thanks to the SEE group led by Dr Vinesh Chandra. First of all it was great to have you in our school and of course your donations of laptops,camera, books, toys, cash for the table and of course your advises. In fact I am very much moved by the comments of the students and their views on our school. It is good to hear our work is visible thus gives us incentive to continue. Yes we run a school with Special Children and it is my personal feeling that seeing the happiness in the face of these students speaks volumes of their satisfaction at our school. I once again thanks the SEE group and also wish to let them and the general public know that you are always welcome at our school.